GWD, Tizen Studio, what's that? What is a watch face? First things first - what is a watch face anyway? Is it software? A program, an app, a script, just a bunch of graphics? Which brings us to the good part: how do you make watch faces? 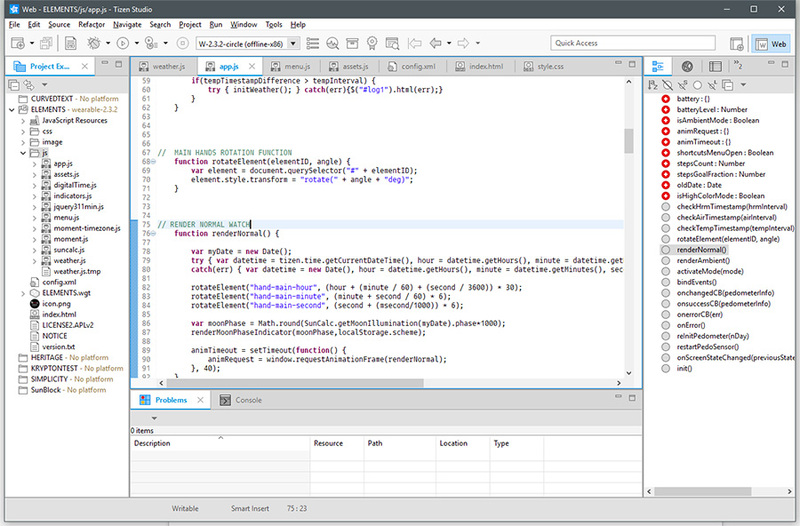 There are ways to use the IDE for native faces, too, but it requires in-depth knowledge of the C programming language. It's an old language, rarely used nowadays, and the effort needed to master it just to build watch faces is too high for what you're getting in return. So I'll focus on the two options mentioned above. 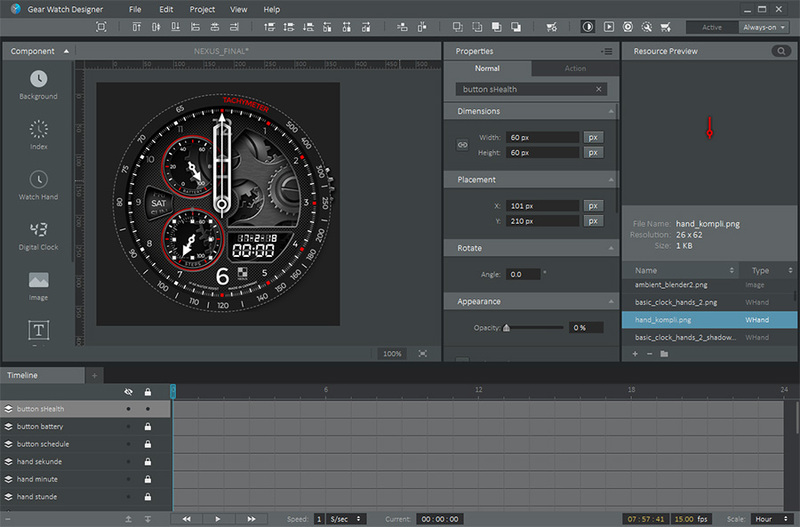 GWD, or Gear Watch Designer, is a graphical editor software which generates a native app. It looks a little like Photoshop with a timeline. It comes with lots of predefined assets to use, you can click your way through building a watch face, it's easy and fast and it gives you great results for only little effort. And you can't make mistakes in GWD. The output will always work. However, it is only a GUI, a graphical user interface. Underneath what you see it still generates program code, based on the C language (which you'll never see though when working with GWD). And as it is very complicated to build a software that lets you graphically construct something that it then turned into code, GWD has a lot of limitations. More on the pro's and con's later. I would say 99% of the watch faces you'll find in the store are built with GWD, and only 1% are programmed in Tizen Studio. I've been into watch face development for a few years now and I only know about 5-10 people (including myself) who program faces. Why is that? Well, programming is a skill you have to learn. It requires knowledge and experience, and it takes time. Besides that, you'll run into a lot of bugs and issues that you wouldn't have to deal with when developing a website e.g. So let's talk about the Pro's and Con's of these two approaches and what it means for you as a user, shall we? © Copyright 2019. VEKTOR LABS - All rights reserved!